For entrepreneurs, independent business professionals and small business owners going through transition, seeking to be more successful and effective in their careers and lives. When you focus intentionally on improving yourself, your environment and your performance, the effects cascade into all parts of your life, and support your business and personal aspirations. But sometimes you’re not sure where to start, or you need someone to guide you on the journey. Perhaps you need a sounding board along the way? Someone who knows how it feels to make these changes. If you’re looking for support and accountability in building better practices and processes, that help you get to where you want to go, you’ve come to the right place. 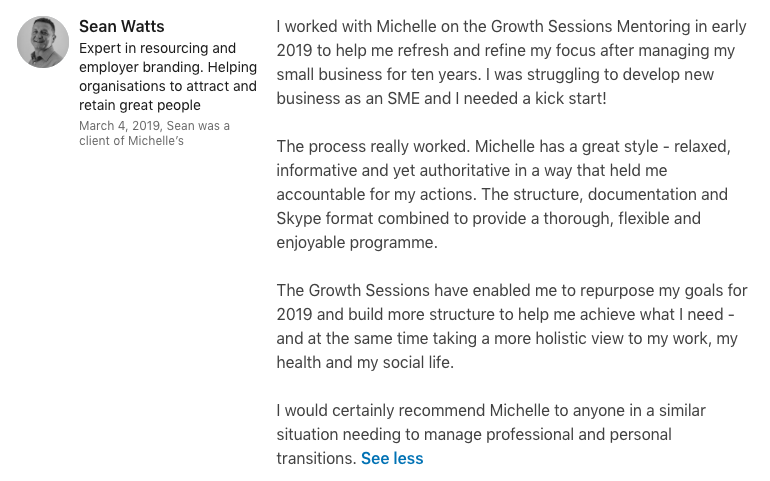 I provide Growth Sessions Mentoring to help you improve your living and working practices, build your resilience, and optimise your productivity and performance. So that you become better prepared for the ups and downs of modern working life. You can work with me in two ways. A once-off session of up to 2 hours, with a documented plan and implementation strategy for you to carry out yourself. or via a series of weekly 30-45 minute sessions over a 4-6 week period, that build accountability and provide further support whilst you implement change. Send me an email – hi@bondesio.com – to confirm your interest, or ask me any questions before you book. I work with 4 people per quarter. If my schedule is full but you register your interest, I’ll notify you when places open up. 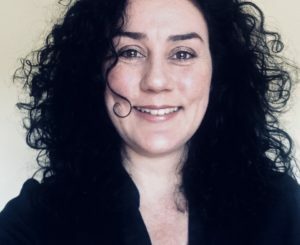 I’m a consultant, mentor, writer and creative entrepreneur with a degree in journalism and psychology, and more than 20 years of experience in communications and project management. A few years ago, I experienced a lengthy, difficult period of burnout due to prolonged and excessive stress. As part of my recovery, I delved deep into learning more about health, wellbeing, habits and personal development and how they can impact on our performance. These learnings helped me to create a Framework to support me in living and working better. It proved so successful, that I decided to transition in my communications work to help others to build their own Frameworks too. So, the focus of my work is now around optimising performance and productivity by focusing on wellbeing, habits, digital health and behaviour change, to improve how we communicate with ourselves, our bodies, our environment and the people around us. I know from experience how working on improving these things can support our wellbeing and performance and help us to activate more of our potential. Our increasingly digital world is contributing to unprecedented wellbeing issues. We’re not yet well-equipped to cope with the level of distraction we are faced with, and the impact that this has on our health, attention and performance. I’d like to enable people to improve their living and working practices and build their resilience. So that they become better prepared for the ups and downs of modern life. Growth Sessions are the platform I use to do this. They encompass talks, workshops, online training and one-to-one mentoring, to support you on your journey. Their aim is to provide you with the tools and information you need to empower YOU in becoming your better self. The effects of doing so will transform how you work and live, for the better. You can also sign up for Cadence – Life and Work in Motion. It’s my monthly guide to creating momentum, working with purpose and living with intention.